Above the 600m contour, the vegetation on the Plynlimon massif changes in character to one of Arctic-Alpine tundra affinities, dominated by clubmosses, dwarf shrubs, sedges and mosses/lichens. 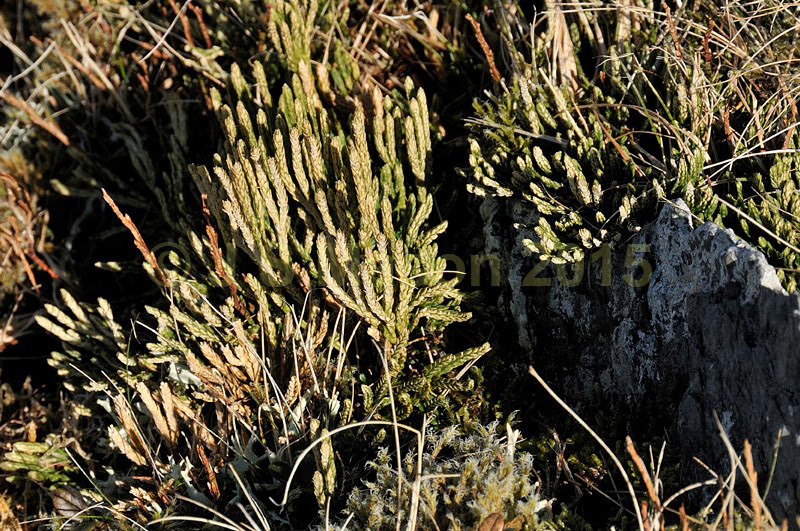 This is Alpine Clubmoss. Product number 031442. Email me to enquire about this image: click HERE.